After these things he departed from Athens and came to Corinth (Acts 18:1). 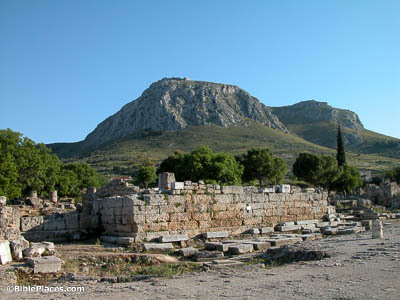 If Paul traveled to Corinth by ship, he would have landed at Cenchreae, the eastern port of Corinth on the Saronic Gulf. 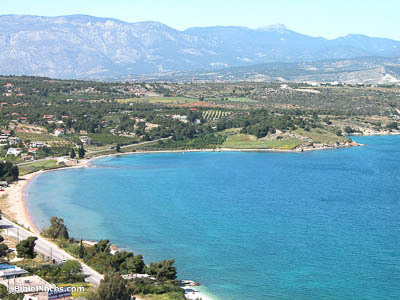 It was located 7 miles (11 km) southeast of Corinth. Little of the ancient harbor at Cenchreae can still be seen by today’s visitors, but some remains provide a glimpse into the past, including an ancient pier and jetty. Claudius had commanded all the Jews to depart from Rome (Acts 18:2). 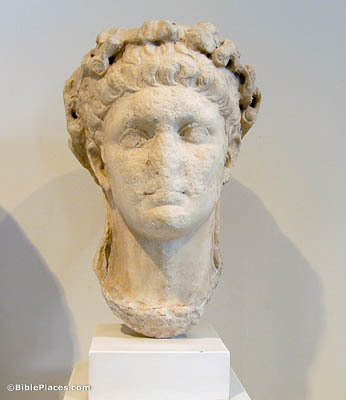 According to the Roman historian Suetonius (Life of Claudius 25.4), Claudius had expelled the Jews (or at least some Jews) from Rome because of a disturbance regarding one “Chrestus.” While this could be a reference to some unknown person, many scholars believe that Suetonius was making a reference to “Christ” as proclaimed by early Christians. If this is correct, the disturbance was caused by the hostility of unbelieving Jews toward Christians and the message they brought. And he stayed there a year and six months, teaching the word of God among them (Acts 18:11). 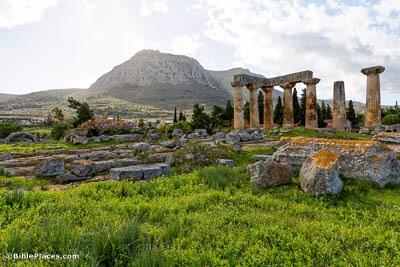 Corinth was a major city of ancient Greece in the first century AD, despite its rough history. 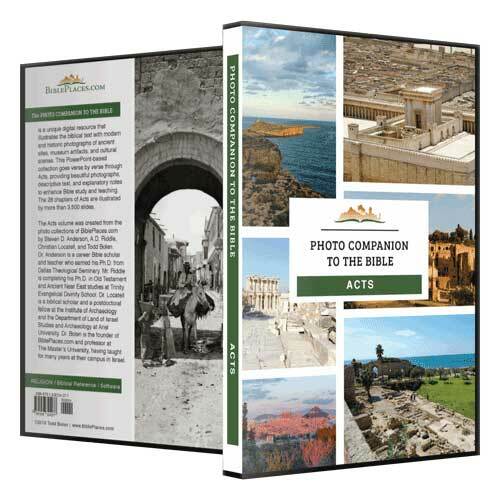 Paul stayed in this city for a significant amount of time, and his concern for the church he founded here is evident from the epistles he wrote to them. The temple shown here, as well as the Acrocorinth in the background, would have been familiar sights to Paul. Paul’s trial before Gallio is one of the most important chronological markers in the New Testament, since it allows for a fairly precise correlation between an event in the New Testament and a specific date in extrabiblical history. 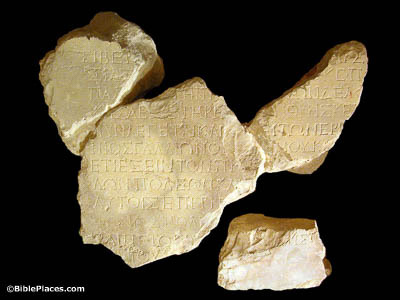 This inscription from Delphi mentions the same Gallio of Acts 18:12. Its text implies that he became proconsul on July 1, AD 51 and left his post in mid-September of the same year, which means that this event in Paul’s life likely happened between those two dates. The Jews with one accord rose up against Paul and brought him before the judgment seat (Acts 18:12). The Roman tribunal where Paul was dragged before Gallio has been uncovered in the center of the Corinth agora. It can be seen here as the raised platform projecting out into the agora. This was the bema where Roman officials would appear before the public. Had Paul’s trial been more formal, it likely would have been held at the North Basilica instead.